Assistance Animals have gone through a lot of names over the years, but regardless if they are called Support Animals, Companion Animals or Assistance Animals, they serve a purpose for those in need. This area of the Fair Housing Act can be very complicated, especially to a private property owner who hasn't sat through the classes year after year. Because of the level of complication, I am going to generalize some things here in an attempt to make it easier to understand in a general sense, not as a true policy or procedure to use. Most relate support or assistance animals to something like a seeing-eye dog. Yes, that is an animal that is protected under Fair Housing, but so are miniature horses or cats that provide emotional support. The type of animal can be just about anything considered reasonable and its role can be anything that helps a person with a disability. You cannot charge more rent; you cannot charge a pet deposit (because they are not considered a pet, they are considered a tool to assist the tenant to live a more normal life); you cannot unreasonably deny the animal; and you cannot ask the tenant why they need the animal. Like anything in life, you always have someone who tries to take advantage of something. Let's face it, most Landlords are scared to death of animals in their rentals because of the potential damage. So tenants wanting a pet or already have a pet, can claim a disability and their pet becomes an assistance animal that is protected under the Fair Housing Laws. Heck, I have seen tenants who stated they had no pets or assistance animals upon move-in and then when an animal is found at the property, they produce documentation stating that the animal is not a pet but is an assistance animal. Landlords' rights on confirming such a need have really diminished, which has created a new business for someone by offering Assistance Animal certifications via the web. Because of the severe consequences for violating Fair Housing, most property managers advise not to test the "reasonableness" or need. Which finally gets me to this article about making it illegal to lie about the need for a service animal. Many Landlords are hopeful that this includes or leads to fair housing as well. Does there really need to be a law making it illegal to lie? What if HUD were to allow Landlords to once again require a form to be signed by a physician or psychologist? I understand the argument that sometimes a mother of a young child may be the best person to identify the need for an assistance animal, but so would a physician or psychologist and if they are in need it's likely they are already seeing such an expert. It's likely no extra steps and it could keep the cheaters out of it. Oh, by the way, Pitbulls are never listed as a pitbull. 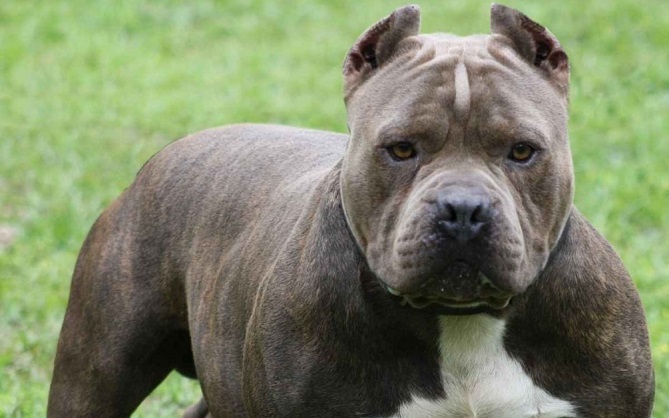 They are almost always listed as an American Staffordshire Terrier. I used a pitbull in my title and photo because that seems to be the extreme that so many jump to. The type of animal must be reasonable and there may be reasons why a pitbull isn't reasonable, but that's another can of worms. If you want to learn everything you can, I recommend you first start with information at the HUD website regarding your rights.